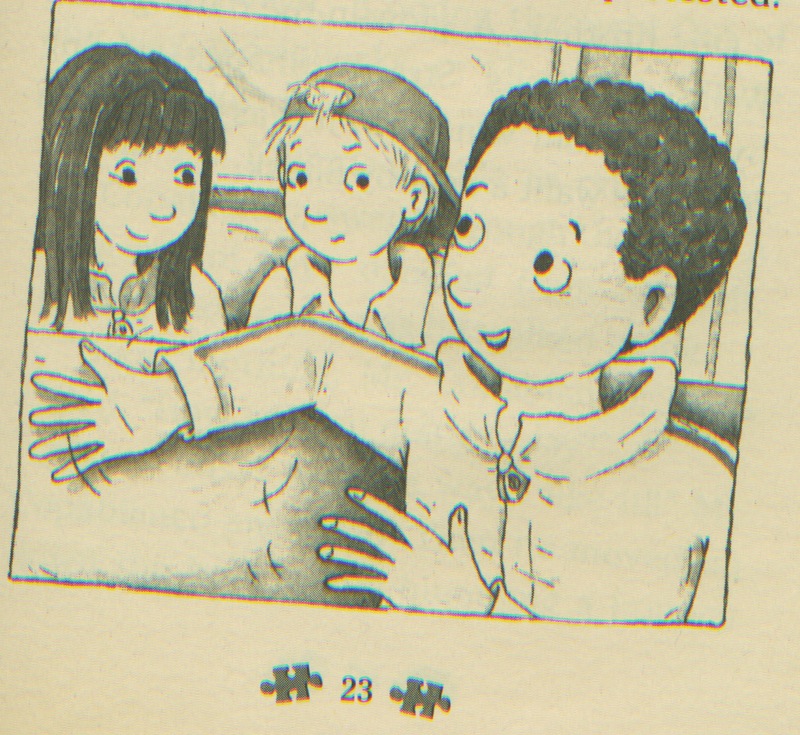 I’m sorry to trouble you with this, but how come I can’t find boxed sets of Jigsaw Jones? They seem to be unavailable — has Scholastic stopped making them? Please ask your agent to get after Scholastic to make those sets available. I’d love to get the complete set for my son. Would love some small sets too, at a reasonable price — say a set of four for $14.95 — to give as birthday presents. There’s a marketing idea — Jigsaw Jones birthday parties, complete with sleuthing activities and a webpage where guests could sign up to give a book each. That would be a gift to parents, too, who would like to cut down on all the crap their kids get for birthdays. Are any of your books under various pen names written for adults? Please let me know if ever you write something you’d want W.W. Norton to consider . . . 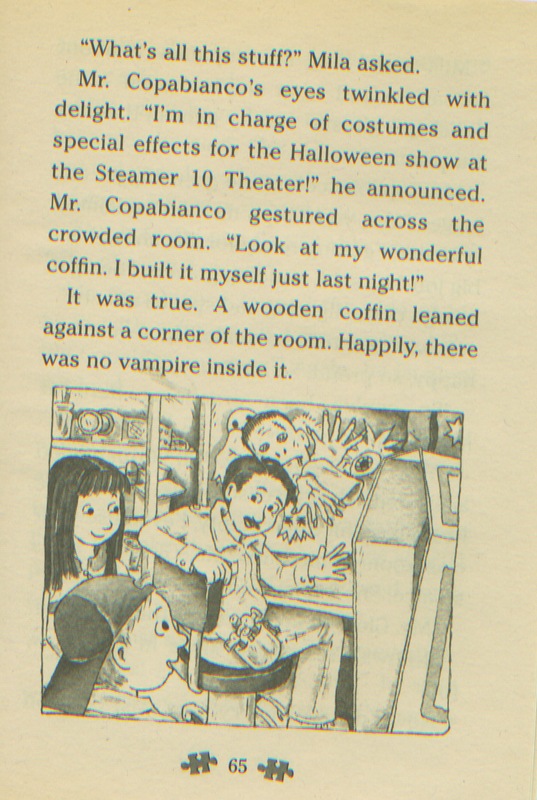 Sadly, the folks at Scholastic do not share your enthusiasm for the Jigsaw Jones series. It believe they’ve stopped making the boxed sets completely, and I’m sure they haven’t promoted the series in trade for several years. Little fish in a big pond, I guess. The marketing decision seems to be to allow the series to die on the vine. Even today, I still can’t think about it without feeling disheartened, discouraged, disappointed. 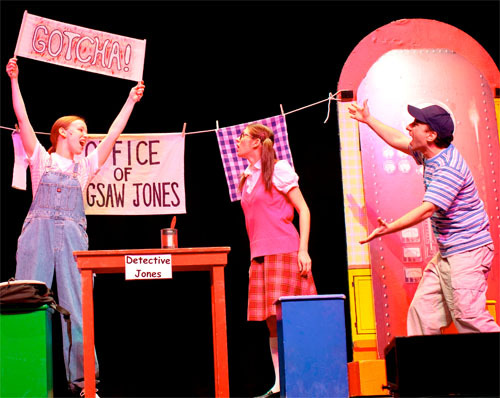 Photo taken from the touring Jigsaw Jones Musical, produced by ArtsPower. 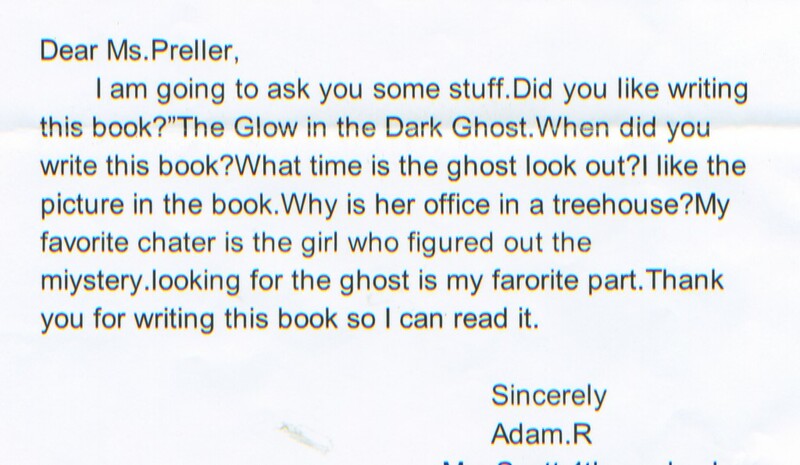 I do suggest that you contact Scholastic Book Clubs at a toll-free number, 1-800-724-6527. They are often receptive to customer requests, and will try to do everything possible to be helpful. Some of those boxed sets must be lying around somewhere. 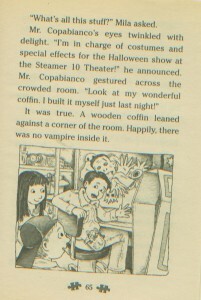 I have not yet attempted a book for adults. Perhaps one day. I very much appreciate your kind words. And I agree: the books are well-written! Perhaps I needed to include more farts.